When do you join GGRC? Around 2016 after moving to San Francisco. 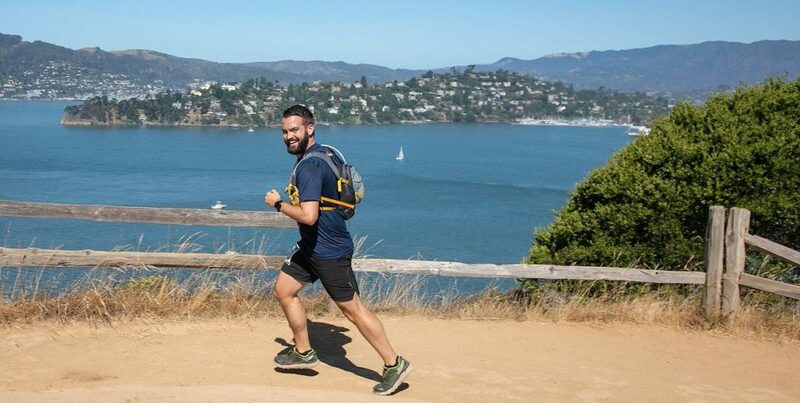 A friend introduced me to Michael Howland and he took me out to Tennessee Valley in the Marin Headlands to run some crushing hills. Coming from the flat land of Chicago, the climbs were a humbling shock to my system. Finishing that run made me want more and I thought to myself, “THIS is running. This is what I want to race”. I’m definitely a “type 2” fun person. What’s a major benefit of the club? Given that we have over 100 members, you can usually find someone to give you a challenge. I didn’t run five years ago and now I’m keeping up with some of our stronger club members. I’m always trying to rabbit chase someone down that’s just a little bit faster than me. You can also usually find me in the kitchen. I’ve developed a solid Italian repertoire and now I’m trying to expand my skills into Indian and Asian dishes. Any advice to someone that is considering joining? Show up at one of our regular runs and check us out. We’re an insanely welcoming group and the benefits extend to beyond just running. I’ve seen people support each other through hard times, offer advice for a major life decision, encourage people to adopt an animal, or even just extend a friendly hug because someone has had a bad week. If you put the good energy out there, it will come right back. When did you join GGRC? I joined on the same night in 2017 as our coach, Will. It was a rainy night and it was a blast splashing round the track. At the time, I’d never run a race longer than a 5K. Since then, I’ve started running more races and longer distances. 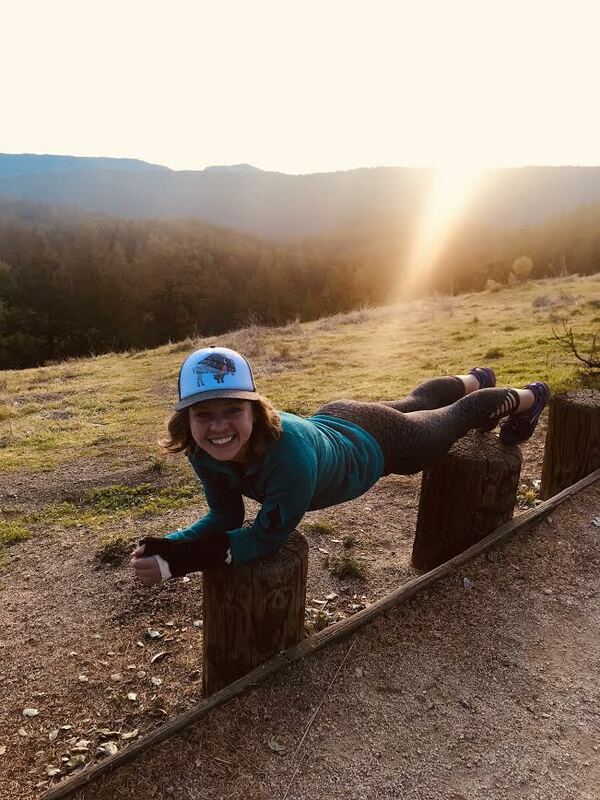 The club has introduced me to many gorgeous routes around the Bay Area, like those in the Marin Headlands and Oakland Redwoods. What is your favorite GGRC event? Relay races are the best. We usually have multiple teams and there are hilarious costumes involved. Any advice to new members? The club is a great place to meet a lot of awesome people. Everyone is super-supportive of your goals, whether you just want to run more socially or beat your personal records. There are members of all levels and distances, so there is always company to provide encouragement and Pop-tarts. Come join us for a few of our regular runs, we look forward to meeting you! A trail half marathon. 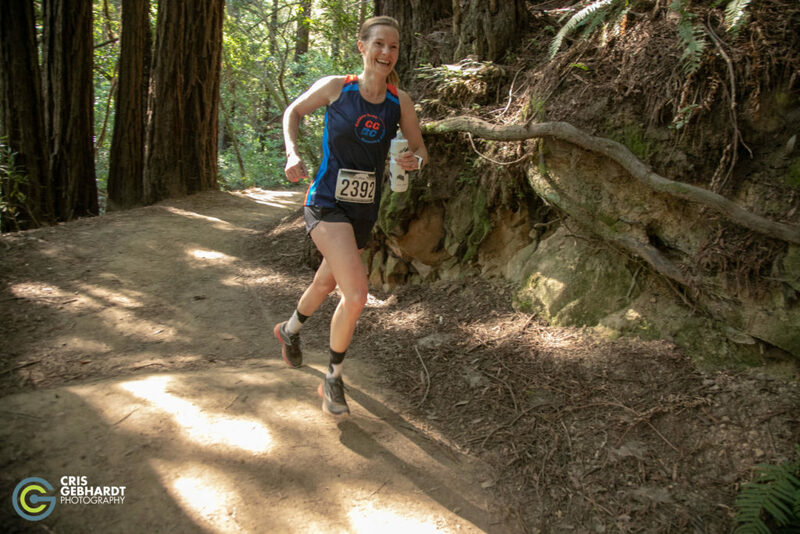 I love wandering out in the woods, and trail half’s are a great way to combine that with my love of competing. Plus since we live in California, you’re generally guaranteed to catch some gorgeous views. 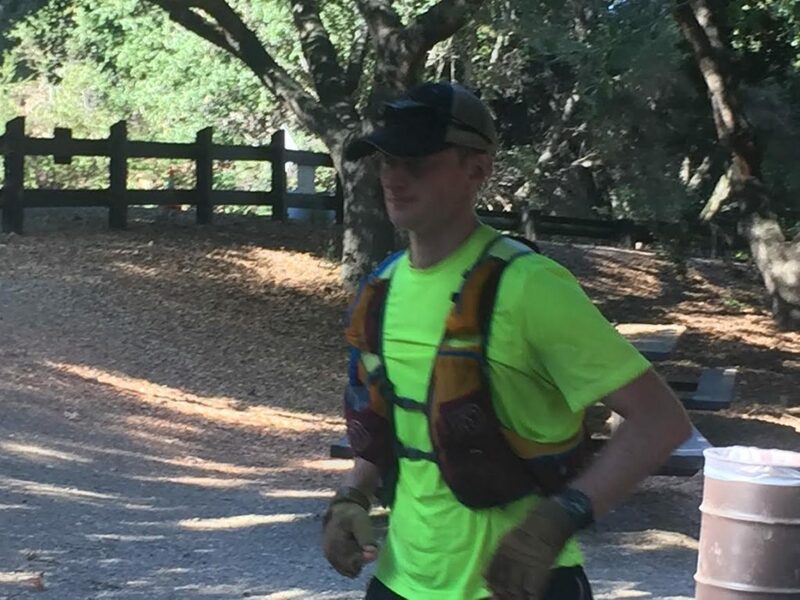 I find that people are generally super friendly and low key at trail races, and the races don’t beat me up like a half on the road. What are you doing on the weekends when you are not running? On the weekend you’ll find me doing whatever I can to get outside (hiking/skiing/rafting/biking), finding the DJs that play the hippity hop instead of the housey house, and trying to keep my dog from pooping on the carpet. What would you say is the best benefit of our club? I love GGRC as its a great way to meet a bunch of like minded people, and combines a great social outlet with my love of being outside. When and how did you join GGRC? Two years ago, I joined GGRC for a track workout on a rainy blustery night. I got soaked. Everyone smiled and joked. I kept coming back. 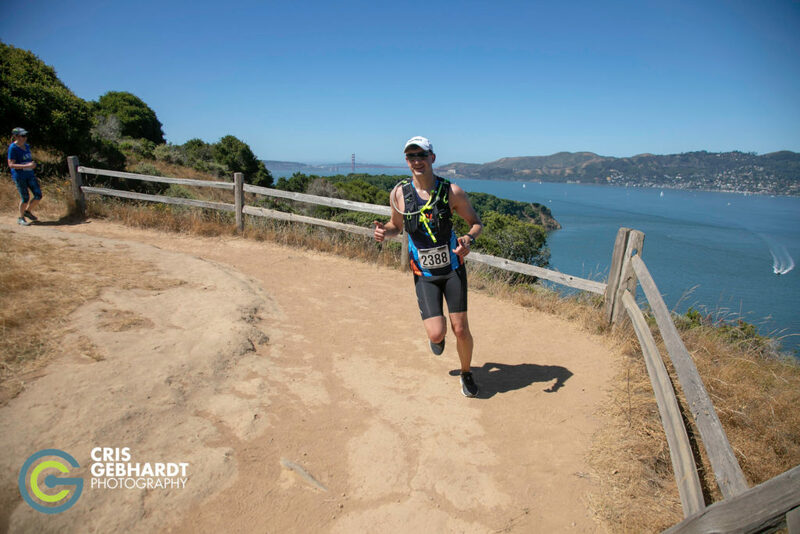 At the time, I did not know joining GGRC would get me back into running ultra-marathons and finding dozens of new people to train with. 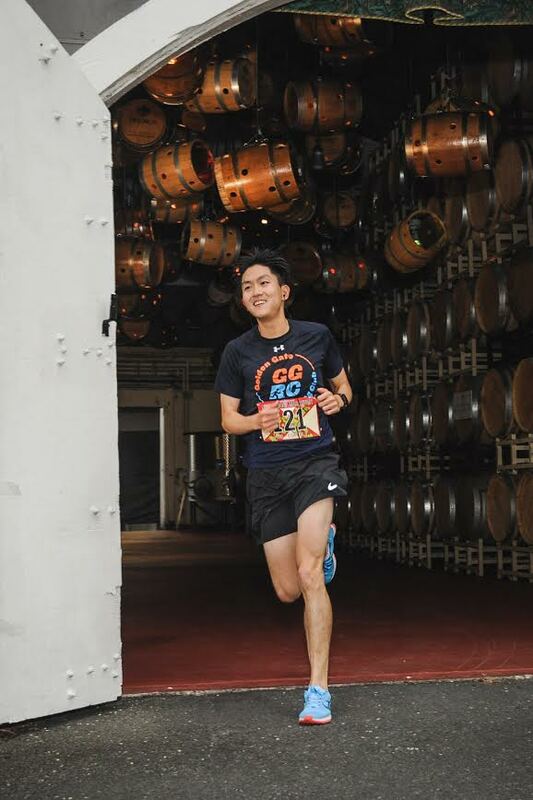 Now, it’s hard to imagine running without GGRC. GGRC is a family. A party family that loves to dress up in costume, but a family none the less. What your favorite type of race? My favorite race is a ultra-marathon. Anyone who finishes the trail race is accomplish something hard and we stop to have a pizza party every 15 miles. Rain or shine. Long trails runs. Eating, cooking, packing trail snacks, and more eating. What is your favorite thing about GGRC track workouts? Track is hard but we always make it fun. Also, we always go for beers and food afterwards. Rain or shine. Why do you love GGRC? We have such a wonderful group of down to earth people that keep me coming out to regularly scheduled club runs and social events. The club welcomes people of all speeds, and we respect and encourage you setting whatever goals you want for yourself. When I first joined, my only goal was to run more socially, and I unintentionally became faster just from showing up to practices. Now I’m looking at a full race calendar for myself in the coming year. I’ve also made some very valuable friendships through the club, which is such a bonus! What’s on the radar for this year? I am most looking forward to planning all of your social events (FOMO Alert: save the date for Banquet March 30th!) and participating in all of the upcoming destination races. What are some of your favorite runs? 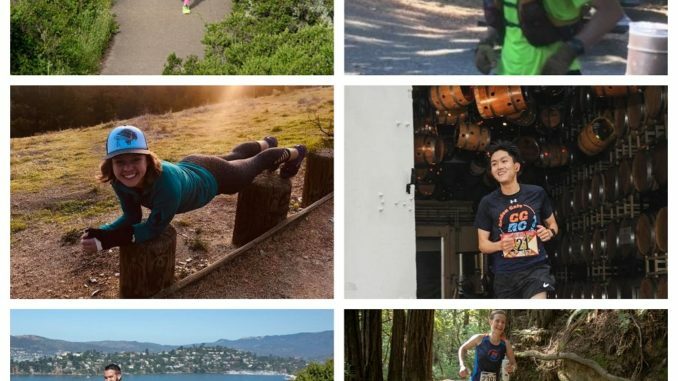 Trails in the city (Golden Gate Park, Lands End) and occasionally popping out to weave through cool neighborhoods with beautiful views! What advice would you give to anyone who is considering joining? Do it, do it now! You do not need to be fast, or a strong runner to join, and it is so fun! Just come out to a few practices and happy hours, and give it a try. We welcome new members and hope to see you in the coming months. What are some of your favorite routes in the city? I really enjoy running in the Presidio and Crissy Field leading to it. The views are just spectacular and it’s also just a bridge away from all that the Headlands has to offer. Come to track and have fun! You’ll be amazed how much faster you can get doing fast workouts. It might seem intimidating, but find someone with comparable pace and you’ll be in good company! I had been running for fitness for a few years. Over time, my normal loop around my neighborhood got boring. I joined to learn some new routes and also to meet running partners. I got that, and more! I never expected to make so many friendships or make so much progress in my running. 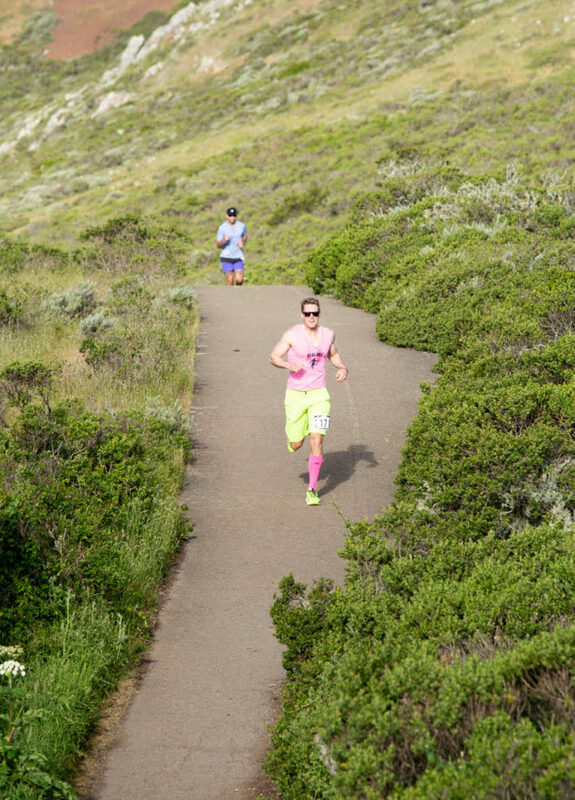 How has GGRC impacted you as a runner? GGRC has introduced me to a lot of running “firsts.” Before GGRC, I had never stepped on a track. I had never done tempo runs, and I had only run on a trail once or twice before. Now, those are all key parts of my running. I’ve met a deep group of running mentors who have introduced me to new aspects of the sport. I joined the board so I could pay it forward. What’s a favorite GGRC memory? Last year, a group of us took a trip to Sequoia National Park. We did an epic 15 mile run up to Alta Peak, complete with an off-piste descent and some Alpine lakes. I was intimidated at first, but I quickly felt super supported by the other runners. Afterward, we hung out by the campfire and ate our favorite foods for hours. I had the best grilled cheese in the universe that day. What’s your advice to new members? Don’t be intimidated by joining a running club! Just jump in. Even if you don’t have much experience or you don’t think you’re a good runner, I promise you will find lots of people who will help you have fun.